Boluoke® (lumbrokinase) is the only fully researched oral enzyme on the market supporting a healthier blood state, and it shows great promise in supporting a healthy coagulation/fibrinolysis balance in the body. Coagulation system is a complicated and highly regulated system. Modern lifestyles often tip the balance towards hypercoagulation (thick blood) and rarely towards hypocoagulation. For most people, Boluoke® can support the body in keeping the system in a more balanced state. Lumbrokinase is a more potent enzyme preparation than nattokinase. One of the advantages of Boluoke® (lumbrokinase) is that it does not interfere with the clotting cascade, but instead, works by reducing fibrinogen and fibrin. Boluoke® does not affect INR or aPTT, thus is compatible with Coumadin® or heparin. Comparing other lumbrokinase products to Boluoke® is like comparing apples and oranges. 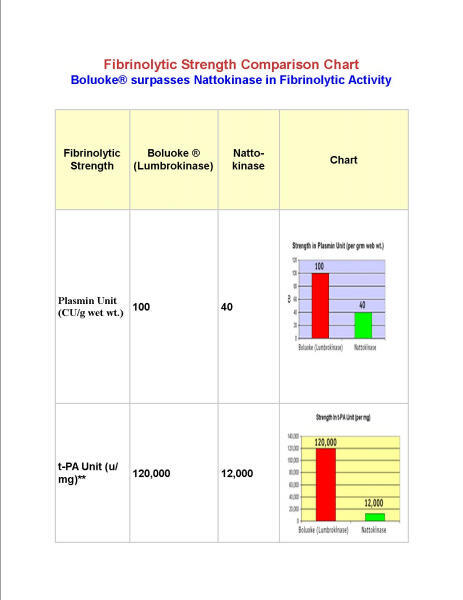 Boluoke®’s enzymatic strength is standardized against urokinase and t-PA. The imitation products are likely just earthworm protein extract containing little pure lumbrokinase or lumbrokinase of low enzymatic strength. Some companies are making products with 230mg to 250mg of lumbrokinase per capsule and trying to quote Boluoke®’s research as their own. Boluoke®’s capsules are of 200mg in size, and contain 20mg of lumbrokinase inside each capsule. Most of these other lumbrokinase are unable to distinguish between the weight of the capsule (i.e. 250 mg) and the active lumbrokinase per capsule (Boluoke® is 20 mg). Boluoke® is the only fully researched oral fibrinolytic supplement on the market. Besides having in vitro studies, animal studies, toxicity studies, and pharmacokinetic studies done, Boluoke® has also been put through all phases of clinical trials (including randomized double blind controlled studies) in China. Boluoke® is the only Lumbrokinase that is backed by Phase I – III clinical trials in China, the one that is first used in hospitals in China, and covered by the Chinese National Fundamental Health Insurance. A common question we receive is about potential side effects of Boluoke®. The earthworm has been used in Traditional Chinese Medicine for a few thousand years, and is considered to be one of the safest medicines in the traditional pharmacopoeias. In one of the largest clinic trials of Boluoke® involving 16 hospitals and 1560 patients in China, the overall adverse reaction rate was 1.92% (30 cases). 0.58% had skin itching, 0.19% had skin rash, and 1.15% had nausea or diarrhea; no hemorrhage or major side effect was reported. Again, this research pertains only to Boluoke®. It is interesting that other lumbrokinase products cite the clinical results achieved with only Boluoke®, confusing the reader into assuming that the research was done on their formulations. However, their products may be very different, and your patients may have very different results. On the raw material market, the price of lumbrokinase can vary by up to 15 fold, and the enzymatic strengths of various Lumbrokinase also differ greatly. In addition, lumbrokinase is a preparation containing multiple enzyme fractions, and the extraction and purification method determines the composition of the various enzyme fractions. Thus different extraction methods will produce different sub-fractions of lumbrokinase. This is the reason why Boluoke® does not significantly change prothrombin time (PT) or activated partial thromboplastin time (aPTT), while other lumbrokinase sources may significantly alter PT or aPTT as shown in studies. No other lumbrokinase product can provide you with this assurance. Suggested Use: If Boluoke® is to be taken for chronic conditions, it should be taken at the dose of 1 capsule one to three times daily on an empty stomach. However, the practitioner may recommend 2 capsules three times daily for 3 to 6 weeks in conditions with severe hypoperfusion. The therapeutic dose for children (according to the manufacturer)is 1 capsule per 8Kg (about 17 pounds) per day. If the lumbrokinase is emptied out from the capsule, still try to take the powder on an empty stomach. Cautions: Please consult your physician before taking this product or any other health supplement, especially if you are on any prescription medicine, are pregnant, have bleeding risks or having surgery. People with known allergy to lumbrokinase should not take this product. Keep out of the reach of children. How long before surgery should patient stop taking Boluoke®? The conservative approach is to stop Boluoke® 1 week prior to surgery. The patient may resume taking Boluoke® 15 days after surgery if no complication or earlier if the physician deems appropriate. Some physicians do recommend patients to stay on a small dose of Boluoke? post surgery in certain high-risk patients. Can Boluoke® be safely taken if the patient is on blood thinning agents? Lumbrokinase has been safely used together with blood thinning agents in various clinical studies, and does not have any adverse interaction nor increase the chance of bleeding other than what is inherent to the blood thinners (Park S, Kye KC, Sumi H, et al. 1989). Boluoke® has been shown not to significantly affect PT and aPTT (thus it does not affect INR). However, patients should always consult their physicians before taking Boluoke® while on any prescriptions. Can the content of Boluoke® capsules be emptied out and taken without the capsules? The capsules used in Boluoke® are enteric coated capsules. They are designed to resist stomach acid and dissolve in the small intestines, because lumbrokinase may be inactivated by stomach acid. Preliminary coagulation tests using Sonoclot® machine (manufactured by Sienco, Inc.) indicate that Boluoke® is still effective when taken without the capsules on an empty stomach. 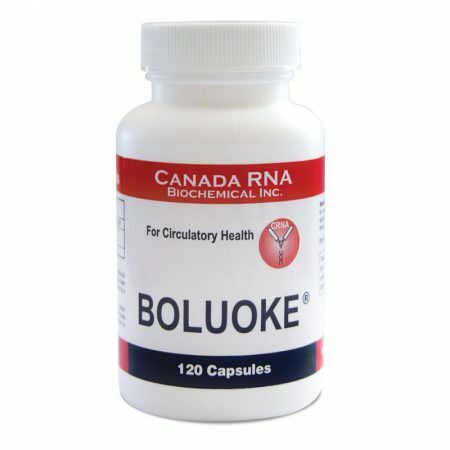 However, it is highly recommended that the patients take Boluoke® in its original capsulated format whenever possible. Can Boluoke® be safely taken with anti-platelet agents? There has been no study specifically looking at this; there has also been no report of adverse interactions to date. However, because Boluoke® can affect platelet aggregation (Zhang GP, Qian RZ, et al. 1998), it should not be used with strong anti-platelets like Plavix or Ticlid unless under the supervision of a physician. Can Boluoke® be safely taken with aspirin? Boluoke® has been shown to be safe when taken with aspirin in clinical studies (Wang XL, Yan DC. 2000; Wang H, Yan DC, et al. 2000). However, patients should consult with their physicians before taking Boluoke® with aspirin or other NSAIDs. Can Boluoke® be used on pregnant women? Teratogenicity studies of Boluoke® on animals showed no effect on pregnancy weight, fetal growth, abortion rate, still birth rate, and fetal resorption rate in mice compared to the placebo group. There was also no birth defect detected. However, pregnant patients should not take Boluoke® unless it is done under a physician’s approval and supervision. What are the contra-indications for taking Boluoke®? 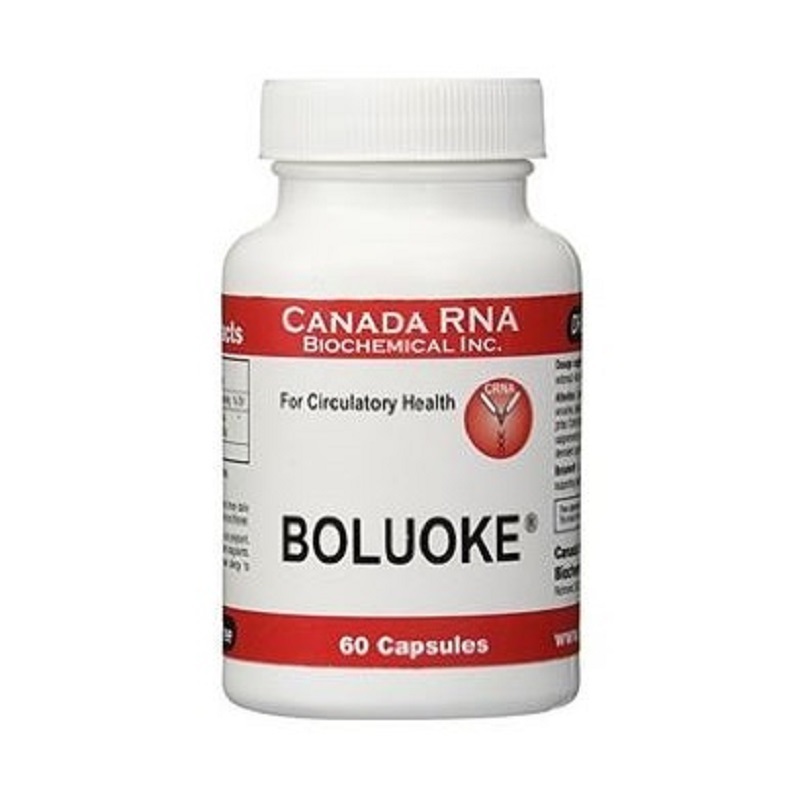 Contra-indications for Boluoke® are: allergy to lumbrokinase or earthworm; recent surgery; pre-surgery; lumbar puncture or arterial puncture; trauma; high risk aneurysm; active internal bleeding or GI ulceration; any other bleeding disorders/tendencies. People who are taking any anti-coagulants (e.g. heparin, coumadin) or anti-platelet drugs (e.g. Plavix or Ticlid) should consult their physicians before taking Boluoke. 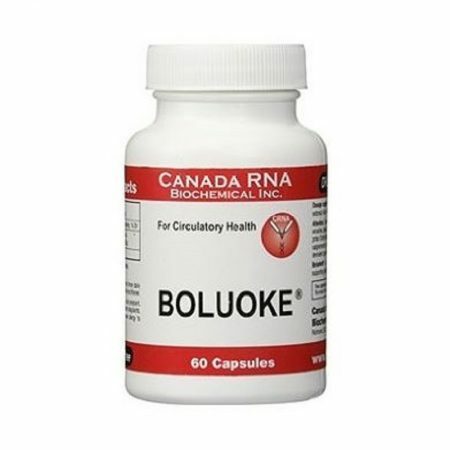 Does Boluoke® have any side effects? The earthworm has been used in Traditional Chinese Medicine for a few thousand years, and is considered to be one of the safest medicines in the traditional pharmacopoeias. In one of the largest clinic trial of Boluoke® involving 16 hospitals and 1560 patients in China, the overall adverse reaction rate was 1.92% (30 cases). 0.58% had skin itching, 0.19% had skin rash, and 1.15% had nausea or diarrhea; no hemorrhage or major side effect was reported. 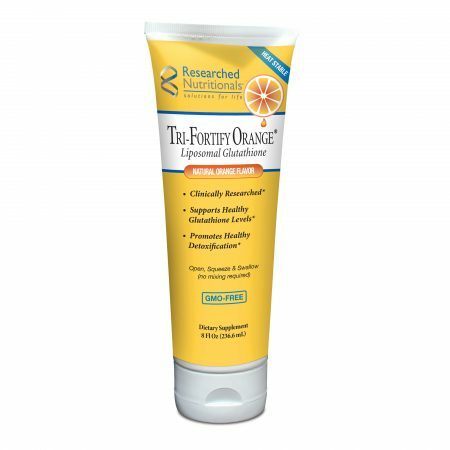 Can Boluoke® be taken with other enzyme products? There is a theoretical possibility that Boluoke® may be cleaved and rendered ineffective by other proteolytic enzymes, so we currently do not recommend dosing Boluoke® with another proteolytic enzyme product. If you do have to take other such enzyme products while on Boluoke®, try to space more time between the dosing of the two enzyme products (i.e. at least 2 hours). What about uterine fibroids, is Boluoke® useful? Again, this is another myth that’s been propagated on the Internet and it is equally without merit. Boluoke® is not likely to help those patients. Can Boluoke® be used to replace Coumadin®? Boluoke® is a nutraceutical product and should not be used to replace Coumadin®. However, if patients refuse to take Coumadin® as recommended, then the physician shall find the best alternatives for the patients. Regardless what alternatives the physician decides on, the patients should be properly monitored. If Boluoke® was chosen as the best alternative, the patients should be checked for anti-plasmin, prothrombin fragment 1+2, thrombin/antithrombin complex, or soluble fibrin monomer to make sure that patients are well protected. A discussion with specialized hematology lab as to what might be the best way to monitor patient status is highly recommended. What is the suggested protocol for taking Boluoke®? Boluoke® is best taken under a physician’s guidance in accordance to the patient’s individual condition. For most chronic conditions and maintenance, 1 capsule once to three times daily on empty stomach should be sufficient. In acute conditions Boluoke® can be taken at the dose of 2 capsules three times daily on an empty stomach for 3 to 6 weeks or as long as the doctor recommends. What kind of tests can be used to see if patients are on appropriate doses of Boluoke®? Tests like anti-plasmin, prothrombin fragment 1+2, thrombin/antithrombin complex, or soluble fibrin monomer levels are some possible tests to help physician determine if patients are on appropriate doses of Boluoke®. We have also found that the gbACT+ test performed on Sonoclot® machine (manufactured by Sienco, Inc.) is a very helpful tool for in-office monitoring of patient status. However, a discussion with specialized hematology lab as to what might be the best way to monitor patient status is highly recommended. 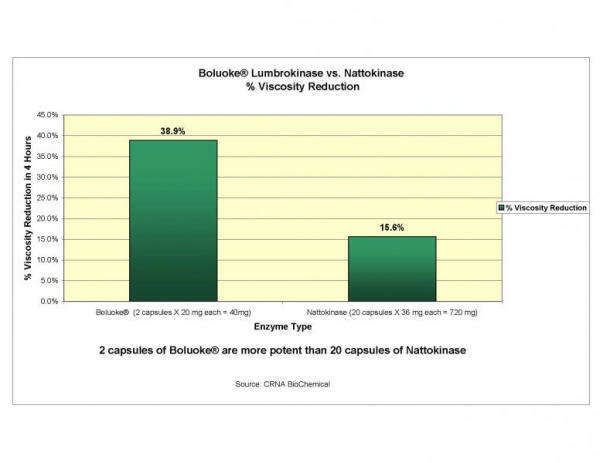 How is Boluoke® different from other products that contain lumbrokinase? Boluoke® is the only lumbrokinase that has been through all phases of clinical trials and its enzymatic strength is standardized against tPA and urokinase activities. Other lumbrokinase products currently on the market often are citing Boluoke®’s credentials and research, and are not disclosing the enzymatic strength of their lumbrokinase. On the raw material market, the price of lumbrokinase can vary by up to 15 fold, and the enzymatic strengths of various lumbrokinase also differ greatly. In addition, lumbrokinase is a preparation containing multiple enzyme fractions, and the extraction and purification method determines the composition of the various enzyme fractions. Thus different extraction method will produce different sub-fractions of lumbrokinase. This is the reason why Boluoke® does not significantly change prothrombin time (PT) or activated partial thromboplastin time (aPTT), while other lumbrokinase sources may significantly alter PT or aPTT as shown in some studies (Jin L, Jin H, Zhang G, Xu G. 2000). Does lumbrokinase interfere with Vitamin K? Lumbrokinase is not an anti-coagulant and does not interfere with the clotting cascade (like warfarin or heparin), thus is it compatible with Vitamin K.